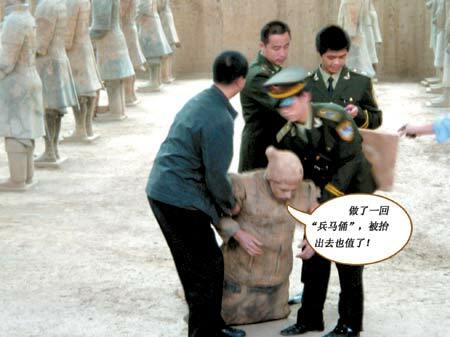 Xinhua News Agency September 18, 2006 - A 26-year-old German art student out-foxed police on Saturday by disguising himself as a terracotta warrior and "taking up position" among the world-famous terracotta army in Xi'an. Pablo Wendel was seen jumping into the five-meter deep pit at 2p.m. 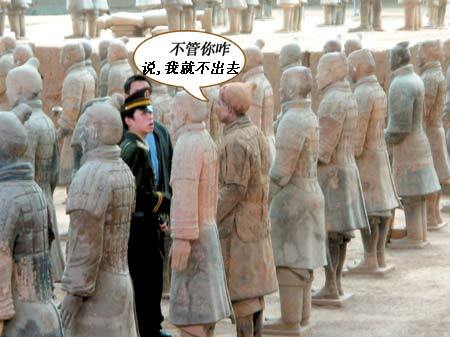 on Saturday to stand among 2,000 terracotta warriors and horses in the terracotta army museum, local police told Xinhua on Sunday. A sudden movement by Wendel startled the six police officers on duty, who rushed over and followed Wendel into the pit. But Wendel was well prepared. He had carried out a reconnaissance mission a few days earlier and had selected a spot among the warriors that would give him the most cover. 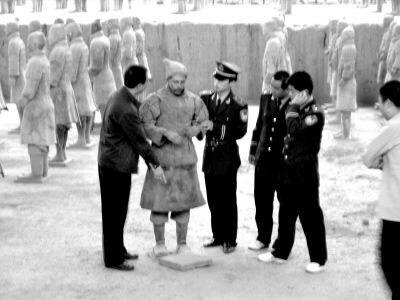 Better still, he had designed himself a gown and hat, identical to those once worn by Emperor Qinshihuang's warriors, in Hangzhou in east China where he currently studies performance art, and even brought a rectangular plinth to stand on. After leaping into the pit, he quickly donned his costume and waited. The police officers tried to force him to leave but Wendel refused to budge, persisted with his prostrate pose. Finally, the police officers had no choice but to carry him out, the police said. 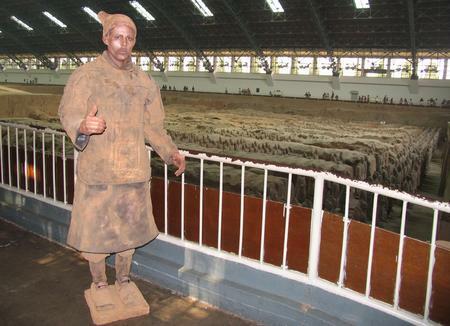 Wendel, whose Chinese name is Ma Lin, said that he has been crazy about the terracotta warriors since childhood. 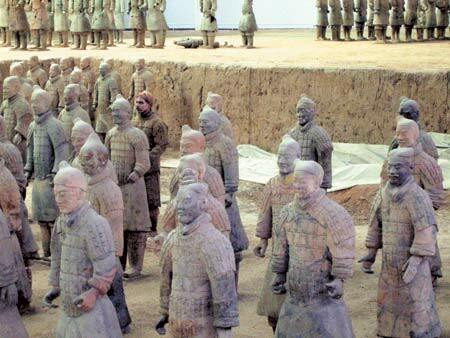 "I have always dreamed of disguising myself as a terracotta warrior among the real ones," he explained. Police did not charge Wendel because his actions did not cause any damage to the cultural relics and he was clearly passionate about the warriors. 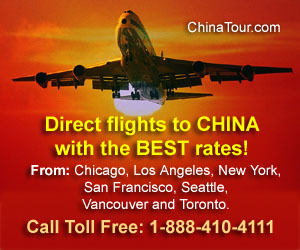 They felt that "serious criticism and education" was sufficient. 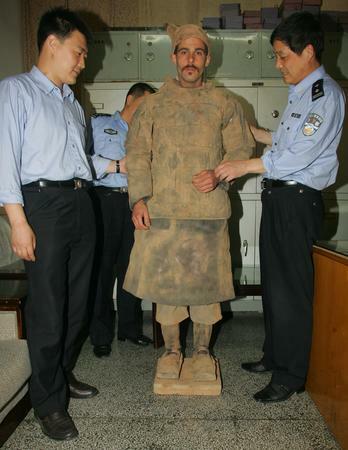 Wendel’s outfit was confiscated and local police sent him back to Hangzhou on Saturday evening.